The Technology Entertainment and Design conference, better known as TED, has spread its worthy ideas annually since 1990. TED 2011, the last edition, was held in the beginning of this month, again in Long Beach CA; but the last couple of years the TED-virus has spread the world as TED became globally known by letting their talks be viewed online for free. As a result the wide range of topics within the research and practice of science and culture of TED are also being addressed here in Amsterdam under the label of TEDx events. 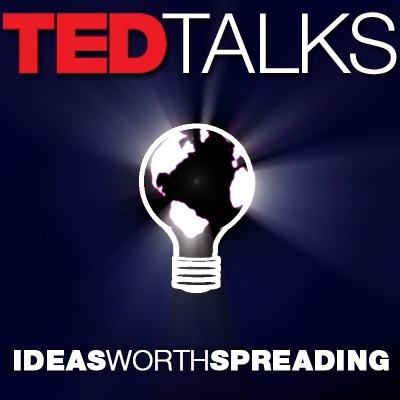 Its popularity seems undeniable, but what is the value of TED to us? Sociologist Andrew Barry writes about the entanglement of science and politics in his book Political Machines: Governing a Technological Society. Our political institutions have increasingly become reliant on the knowledge and technology that science has produced, thus the formation of scientific knowledge becomes part of the political process. Think for example about how scientific research into climate change has affected political decisions on local as well as global level. This argument is also made by sociologist Ulrich Beck, who states that we live in a risk society, and that science is making the authoritative statements about the dangers of these risks. So where do the TED conferences come into play in all this? The increasing entanglement of science, technology, and politics makes it necessary for the public to also get involved into science and technology. Bruno Latour argues in his article From Realpolitik to Dingpolitik that we should take a constructivist approach to politics. Scientific knowledge therefore also is no longer a matter of fact, but becomes a matter of concern; contestation about issues is what makes politics according to Latour. By making these contestations visible to the public a form of democratic politics takes place. In the case of the TED talks, knowledge about science and technology becomes visible to the public as millions of people all over the world are watching them. Take for example the TED debate between Stewart Brand and Mark Jacobson about the pros and cons of nuclear power, a discussion that has become very relevant this month, or the very convincing talk of Paul Root Wolpe about the ethical implications of bio-engineering. Both discussions concern topics that are closely intertwined with politics. It thus seems that the TED conferences are taking part in the making of politics as they let the public get involved by publicizing the issues at stake. But are citizens really getting involved into politics just by for example watching a conference talk? According to Noortje Marres this is not immediately the case; the public is not automatically involved, but rather the public is an effect of the issue formation. As different opinions on an issue are publicized by media the public starts to form around the issue; the public just like politics is in the making.